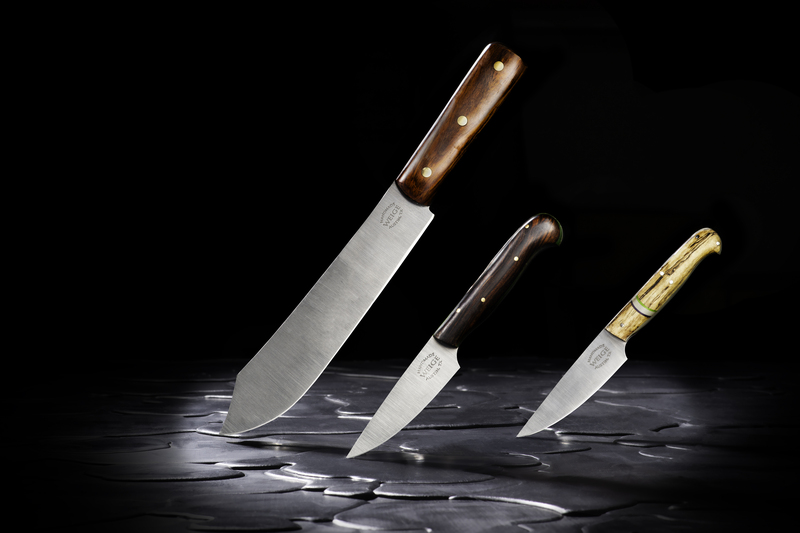 Home/Finished knives., News, Press/Very cool review of one of my finished knives. 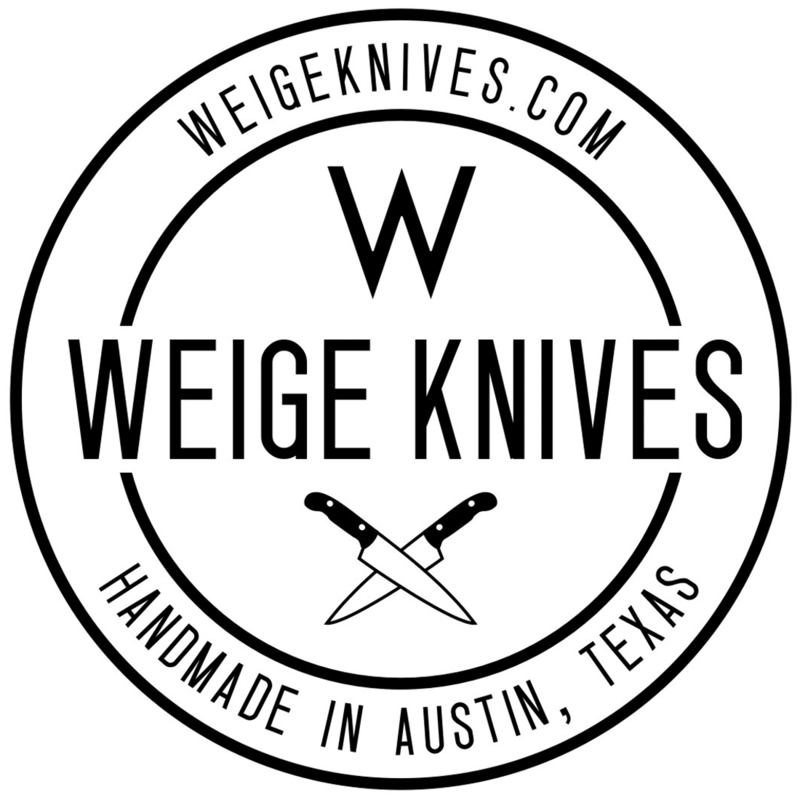 Santa Claus came early for me this year, when bladesmith Travis Weige of Weige Knives here in Austin emailed me, letting me know that my custom chef’s knife was finished. 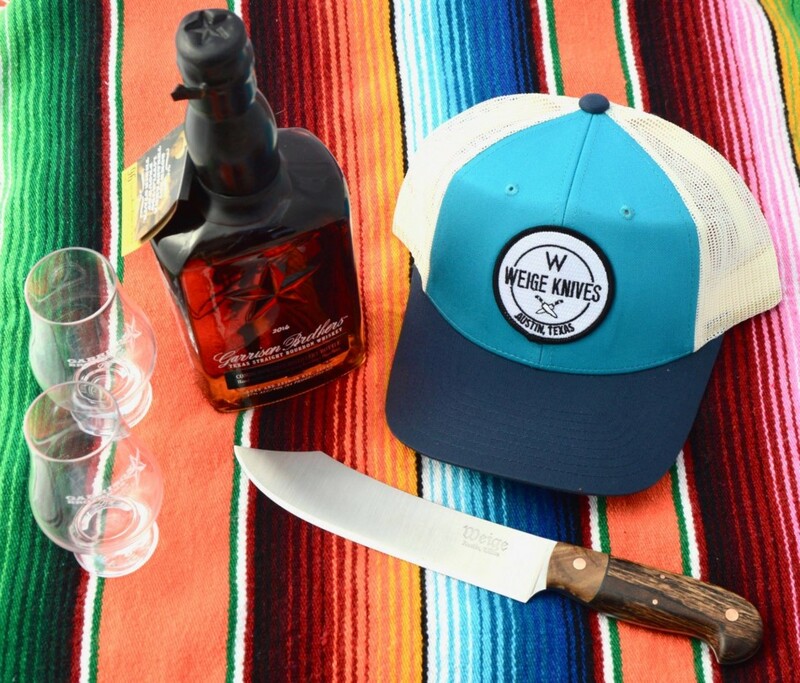 You may remember my feature article for the Austin Chronicle last spring (see link, below), when I wrote a profile on Travis and explored the world of custom chef’s knives, while illustrating the myriad options involved in designing a knife, and describing the process of getting measured and fitted for my own knife. 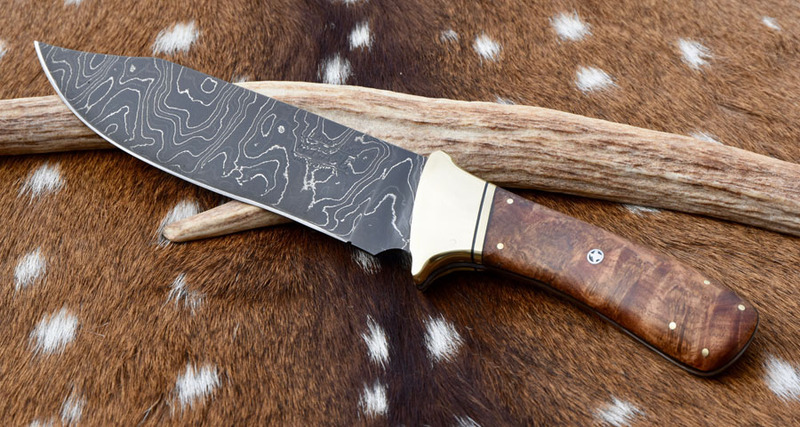 It’s difficult to order something like a custom knife that you know won’t be finished until eight or nine months later. The excitement wanes over time, and periodically you get amped-up all over again when teaser emails arrive from Travis letting you know the progress of the knife, as it slowly works its way down the assembly line. You can’t blame the lengthy wait, especially since at the time, Travis was making blades as a side gig. He started as an undiscovered artiste that those in the know whispered about, for fear that the rest of the culinary community would find out about him and the waiting list would grow longer. And now, nine relatively short months later, he’s given up his lucrative day job and gone full-time into knife making, and hired an apprentice to try to keep up with the ever growing demand for his beautifully crafted blades. Dude has gone fairly seamlessly from avocation to occupation, and carved out a really prominent niche in the Austin area culinary world while doing so.